To start a Crowdfunding campaign, click on the green Start a Campaign button below. You'll land in the Campaign Builder. 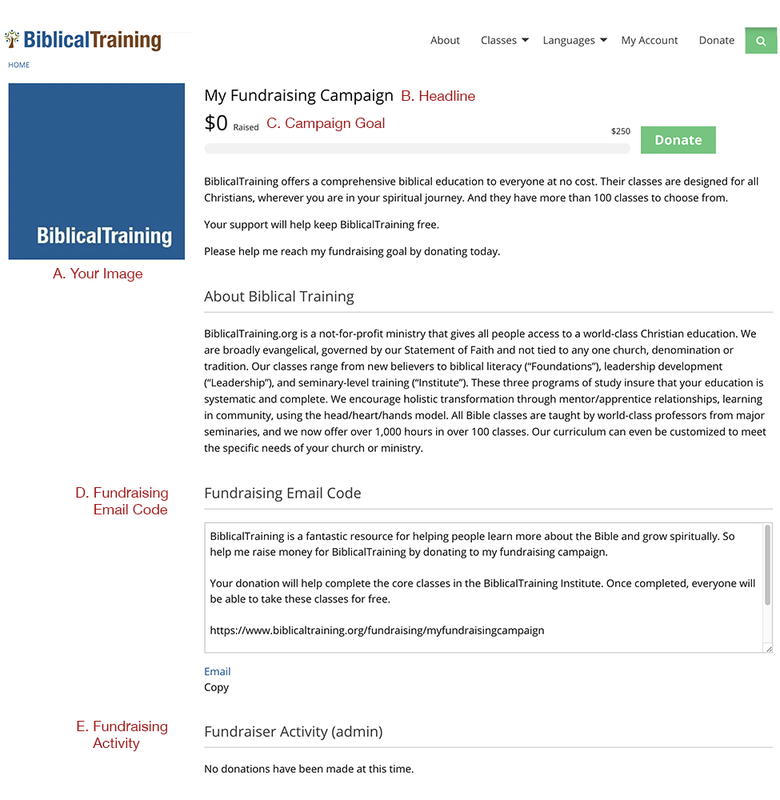 On the Campaign Builder page, you'll enter a title for your fundraising campaign, set your fundraising goal, create a short URL for your page, and upload a photo of yourself. A. Your Image - We recommend an image that is 300px by 300px. B. Headline - Give your campaign a concise, but catchy headline. C. Campaign Goal - Set a goal that is both ambitious, but attainable. D. Fundraising Email Code - Copy and paste the email code into your favorite email program and send it to your friends and family (Admin only). 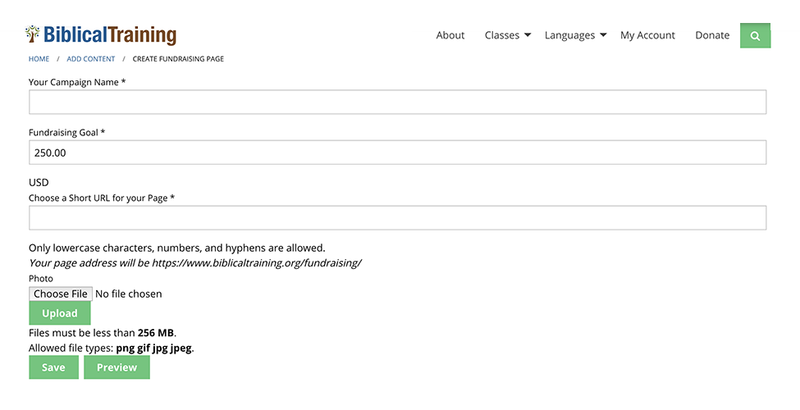 E. Fundraising Activity - This is where you will see a list of your donors and the amount donated (Admin only).